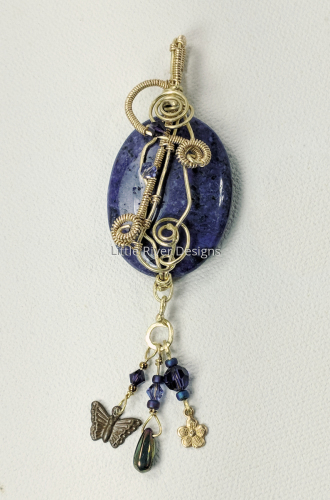 A deep violet agate hand wrapped in brass with Swarovski crystal and brass charms. 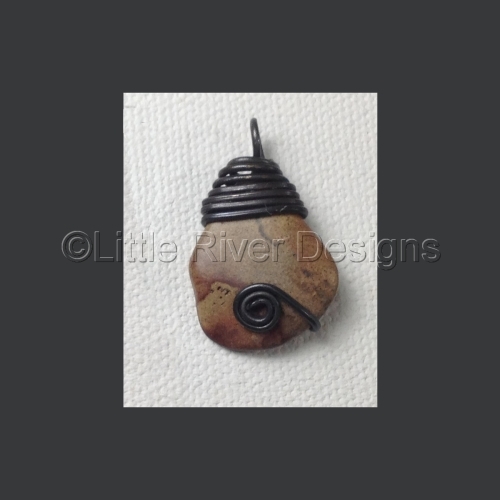 A beach stone I collected from Ragged Neck in Rye on the New Hampshire coast. 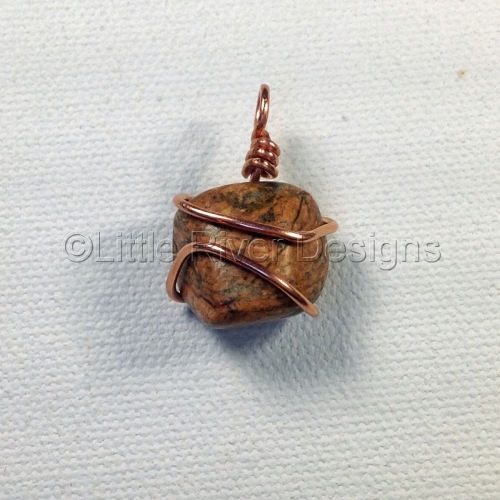 Tumbled and hand polished then wrapped in hammered and annealed copper. A beach stone I collected from Rye Harbor on the New Hampshire coast. 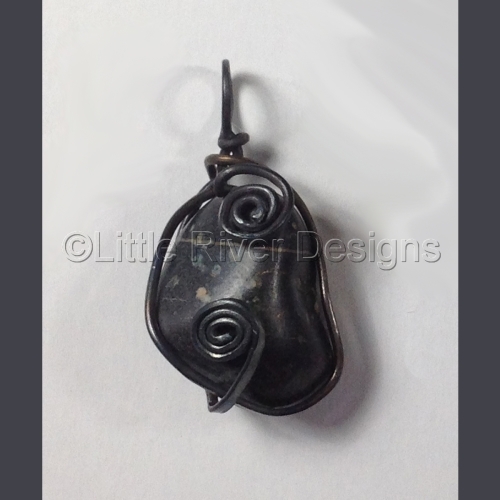 Tumbled and hand polished then wrapped in stainless steel annealed to a gunmetal grey. A lake stone I collected from Mooselookmeguntic Lake Maine. 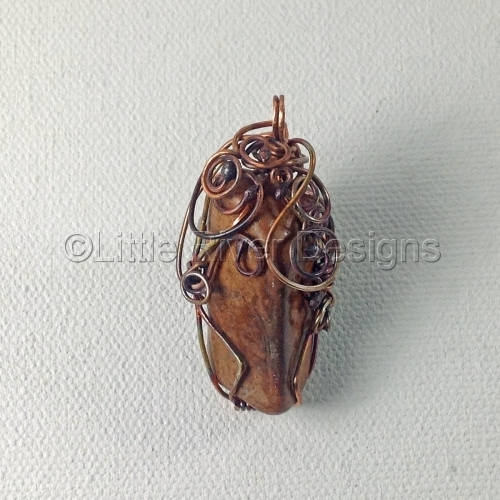 Tumbled and hand polished then wrapped in annealed copper. For the beachcomber like me. 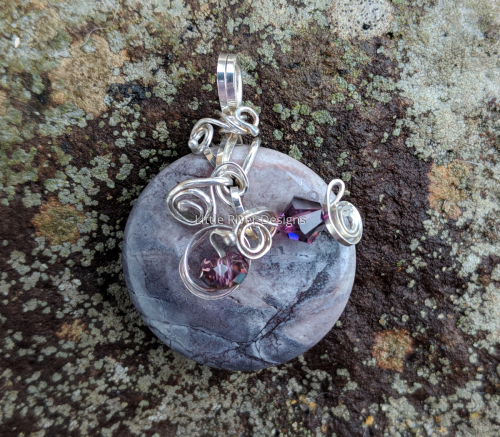 A stone collected from the coast of NH. 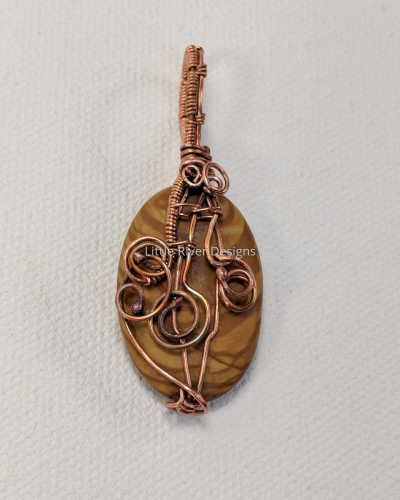 Tumbled and polished and wrapped in copper. 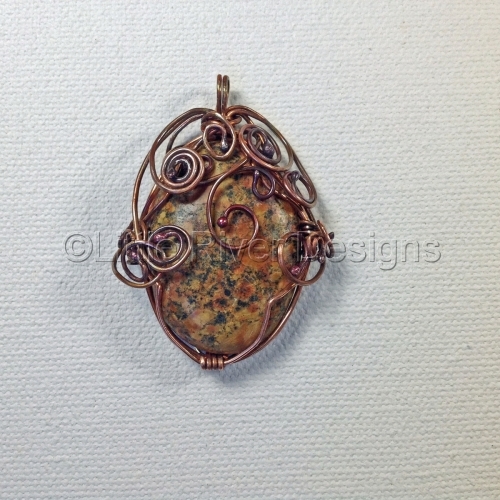 From a hiking trip in Northern New Hampshire, picked from Wild River, tumbled and polished smooth then metal worked in annealed copper. Small Stone put in my pocket while beached on a kayaking trip on the lake. 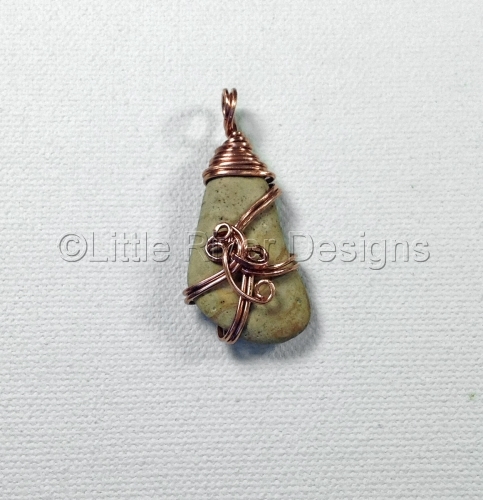 Tumbled and Polished then wrapped in copper a cute lil guy. A beach stone I collected from Rye Harbor on the New Hampshire coast. 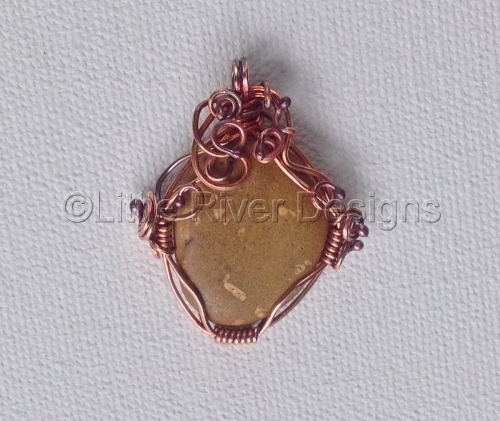 Tumbled and hand polished then wrapped in brass. 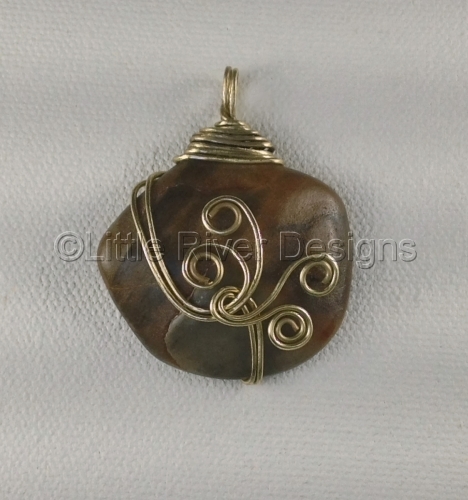 A beautiful tiger jasper stone hand wrapped in antiqued copper. 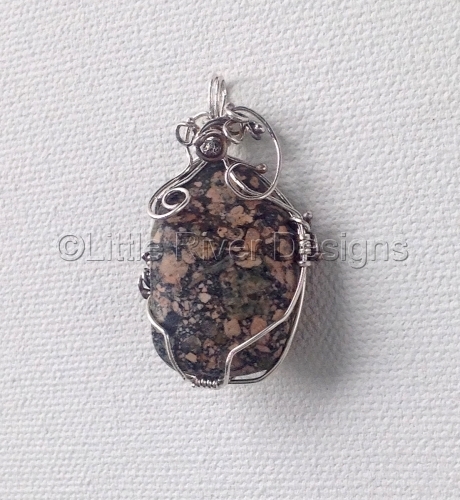 Colors of a winter's day, a terra rosa jasper wrapped in sterling silver, embellished with Swarovski crystals.